The Uses of Chip Conveyors - Barnes International, Inc.
Chip conveyors are machines used to convey material or transport things from one end to another. They are becoming more popular day by day. Conveyor systems are required in all the fields you name or think of, for moving things from one point to another or transporting materials at a distance. Currently, they are becoming a necessity in all walks of life, whether it is industrial, mining, commercial, pharmaceuticals, packaging, truck loading, etc. Many systems also have inbuilt basic safety attributes which assist to stop injuries including automatic and manual stoppage of a functioning conveyor. The units allow a great benefit due to the fact that an incredible number and an assortment of systems in the current market enable the moving of chips irrespective of its types, styles, sizes, and weight loads. The units may be exclusively constructed for great loads or smaller loads, or can also possibly be built to handle various styles and weight loads. A good example of a system developed to manage an awful lot of different weights, styles and sizes. The benefit of such system is the fact that they may be located, or set up, very nearly anywhere. Some can be purchased and then successfully installed by the purchaser; however, those people with a demand for more sophisticated models can have the conveyors installed to suit. This just means that regardless the space is, and where it is positioned, if there is adequate space for your conveyor equipment required, the system can easily be installed. For this reason, you will find conveyor units indoors throughout industries of all kinds. Though safety has already been discussed several times, this is a highly significant benefit that systems provide. The safety factors are increased on the account of efficient use of systems not simply due to significantly less human handling but also because, relative to various other systems, they are less risky to use. Some examples of equipment that are occasionally being substituted by machines include things like forklifts, cranes, and good old carts and wagons. With the overwhelming benefits that they bring, it is no surprise that conveyor systems are successful and remain to be incredibly prominent within a significant number of industrial sectors. 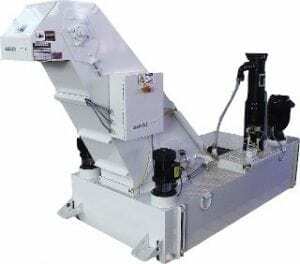 Chip conveyors are very in demand thanks to the advantages they offer. Among the most apparent positive aspects of conveyor systems would be the automation for supplies transportation.